Discover dental implant solutions that won’t break your budget! 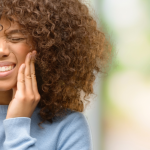 For the estimated 60% or more of Americans without dental coverage, the prospect of dental implants can be a frightening and even impossible idea. 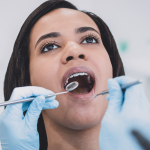 As a result, many people give up on getting an implant, instead settling for lesser interventions or allowing themselves to lose tooth function and bone integrity, and with that, their confidence. If you or someone you love is in need of dental implants, the affordable prosthodontist office of Penn Dental Medicine can help. Dental implants are metal posts or frames that are surgically positioned into the jawbone beneath your gums. Once in place, they allow your dentist to anchor replacement teeth onto them. A dental implant restores your lost tooth so that it looks, feels, fits, and functions like a natural tooth. Dental implants protect your bone structure while preserving the natural shape of your face and smile. Plus, you can bite naturally and eat virtually anything you want! While dental implants may need periodic adjustments, they can last a lifetime when properly placed and cared for over time by a Penn Dental Medicine implant expert. Can’t I Just Go To My Regular Dentist? 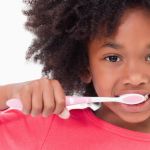 Dental care is not a one-size-fits-all proposition. There are certain conditions that require specialized treatment. Prosthodontics is a specialized area for the repair and replacement of chipped, damaged, or missing teeth. For these procedures, you need a prosthodontics specialist. 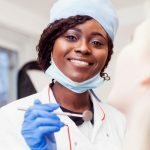 What’s So Special About Penn Medical Dental’s Affordable Prosthodontist Office? Our prosthodontics program is the only one of its kind in the Philadelphia area and utilizes state-of-the-art technology for the most precise fitting and placement of your implants. 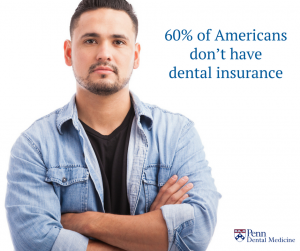 Penn Dental Medicine provides top notch care from students who are actively trained and guided through each process by the best in the industry: UPenn doctors! Because it’s a teaching practice, patients receive all of the benefits of a top-tier dental practice, all at a discounted price. Quality and care are never sacrificed. The Penn Dental Medicine affordable prosthodontist office is located centrally in west Philadelphia and easily accessible via by car, bus, trolley, subway, or train– (see directions). Whether you’re living within the city, in the greater Philadelphia area, or beyond, we are glad to have you! Penn Dental Medicine is for anyone who needs dental implants or other high quality care at low cost, and is willing to go through our dental school´s process for care. We welcome your phone calls and applications. Contact us today!